This one is a pretty tasty find! Turns out there us this thing called ORCA: Open Research Content Archive, and there I found the Amazon Lumberyard Bistro scene file that was made for the 2017 Game Developer Conference to showcase new anti-aliasing and transparency features in the Lumberyard game engine. Yes, Amazon is also working on a game engine! I just took it for a spin with Corona Renderer. I’m keeping up with updates about the upcoming Lumion version, and I noticed an interesting credit on one of their teaser images. That led me to the ORCA page on the NVIDIA DEVELOPER website, where I’ve seen this video and also found out I can download the ENTIRE SCENE! I tried to take it for a spin with FStorm first, but I think I’ve hit my cards 3GB limit. If someone manages to do so, please let me know so I check what I did wrong. Next was Corona Renderer with some fog and it works like a charm! ORCA is a library of professionally-created 3D assets donated to the research community. ORCA enables researchers to develop, test and discover new ideas using challenging, high-quality assets. With initial assets donated by Amazon Lumberyard, SpeedTree, and NVIDIA, we encourage additional 3D asset contributions. ORCA assets are in FBX format, available for use in any rendering system. Each asset includes a Falcor scene file containing camera and lighting configuration. The scene is provided under a this license : Creative Commons CC-BY 4.0. The interior scene has 1,020,895 triangles and the exterior has 2,836,717 triangles. it comes as FBX or Falcor (heck if I know what that is) scene file. 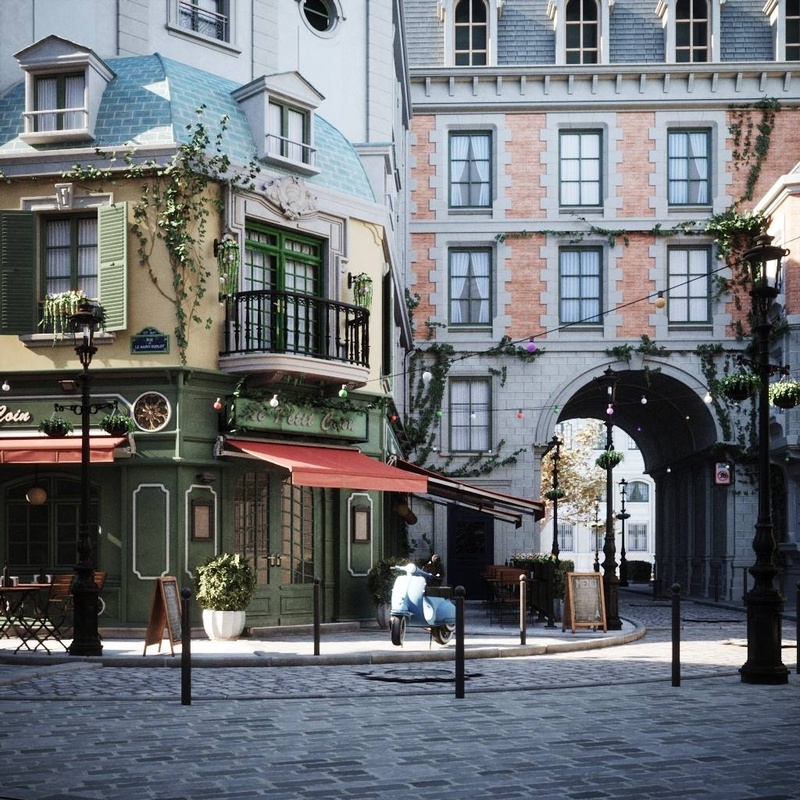 The Realtime Bistro Scene was created by elite3d for GDC 2017 Amazon showcase. Using Amazon Lumberyard latest engine features. From assets creation to final screenshots.